At Botafumeiro, we know what it means to be Barcelona’s top seafood restaurant. 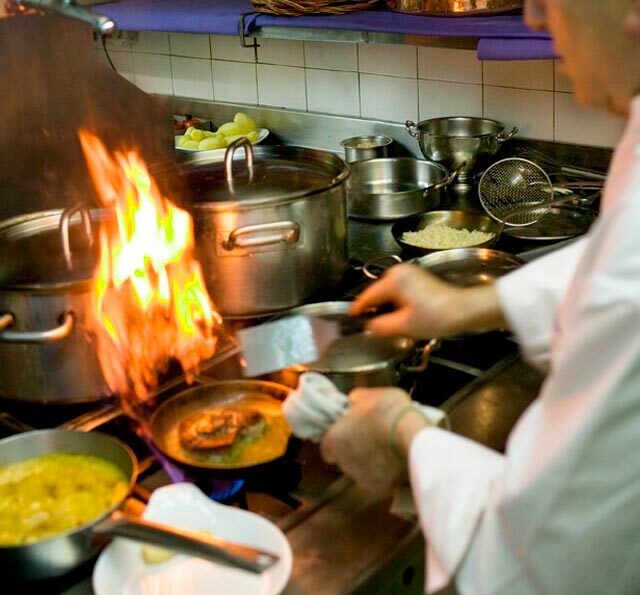 Each dish we serve is the result of painstaking work that often begins thousands of miles from our restaurant. The early mornings of Botafumeiro are the fish auctions of Catalonia and Galicia: the hubbub of the auction and the character of the fisherman in the day’s chilliest hours. Therefore, because every day we give our all in selecting the best catches, our cuisine is the victory of unmatched tradition and freshness, of the fully-fledged Mediterranean and Cantabrian cultures.